Rev. Kuwahara was born in Japan and has been a priest of Jodo Shinshu Buddhism since 1999. 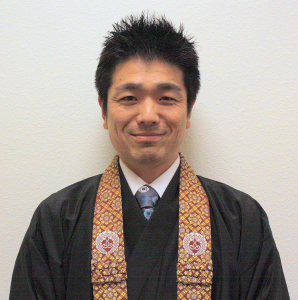 In addition to teaching the courses at the IBS as a member of the adjunct faculty, he has been engaged in ministry to spread the Buddhist teachings in the US for over 12 years. “Is My Sangha Inclusive?” Buddha Dharma, Winter 2013.